Copyright Notice: ™ & © 2016 TBS Europe Ltd. These are the official Gumball, Darwin & Anais licensed characters, Gumball, Darwin & Anais. 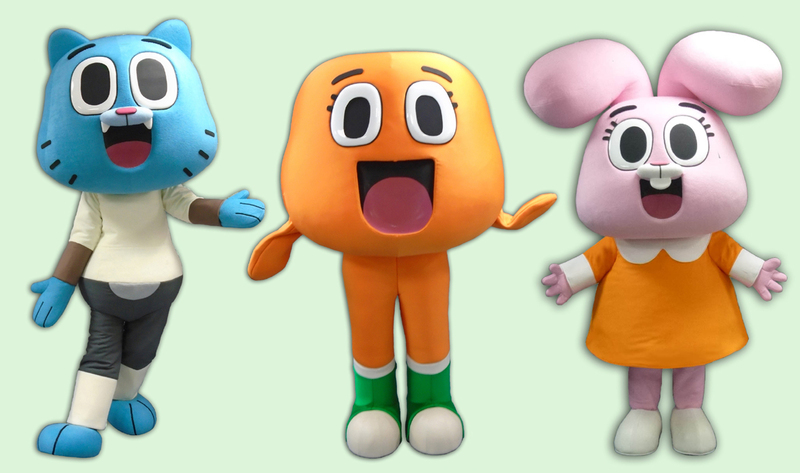 Rainbow Productions holds the UK’s official licence to manage the personal appearances of famous characters Gumball, Darwin and Anais at public events on behalf of the brand owner. Our licensed character costumes are not available to hire on a costume-only basis. Characters are booked at a single day or an overnight rate, depending on event location, rather than for shorter time periods. Our aim is to bring these famous characters to life to create a magical experience for children when they meet the characters. The Amazing World of Gumball is an animated TV series focusing on the antics of the Watterson family. Gumball, Darwin and Anais live in the quirky town of Elmore. 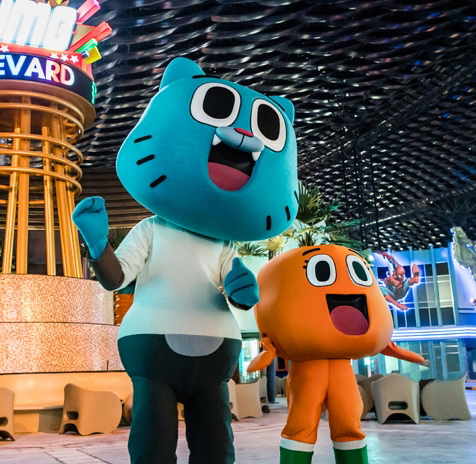 At the heart of the show is Gumball, a 12 year old blue cat with a giant head who has an epic flair for misadventure. He has an un-dimmable optimism and will try anything once! Joining Gumball in his antics are Darwin and Anais. Darwin is Gumball’s 10 year old best friend. He used to be Gumball’s pet goldfish but miraculously sprouted legs and was adopted into the family. Darwin still sleeps in a fishbowl despite being too big for it! Darwin is quite naïve and innocent but incredibly sweet and is extremely loyal to Gumball who he idolises! Gumball’s little sister, Anais, is a 4 year old genius bunny. She is by far the cleverest in the house and very sweet but can be quite sarcastic. She is always full of ideas, even when the rest of the family don’t listen! Amazing World of Gumball has won a total of 11 industry awards, including the 2015 BAFTA for the Children’s Animation Award. 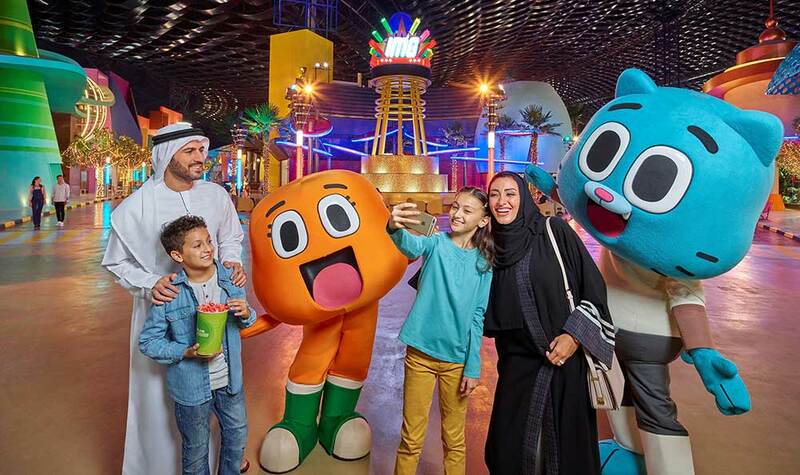 Gumball & Darwin are popular faces in the Cartoon Network Zone at IMG Worlds of Adventure in Dubai. Amazing World of Gumball has aired in 126 countries.